JTA — In the small park behind the only synagogue in this city to have survived World War II, Yoram Sztykgold looks around with a perplexed expression. But for many restitution claimants in the capital, identifying assets will become easier thanks to a recent breakthrough with an unlikely source: the establishment of a first-of-its-kind searchable database. Users need only type in the name of their family to obtain a complete overview of all the assets they may claim under a new restitution drive in Warsaw. The World Jewish Restitution Organization, or WJRO, set up the database in December 2016. 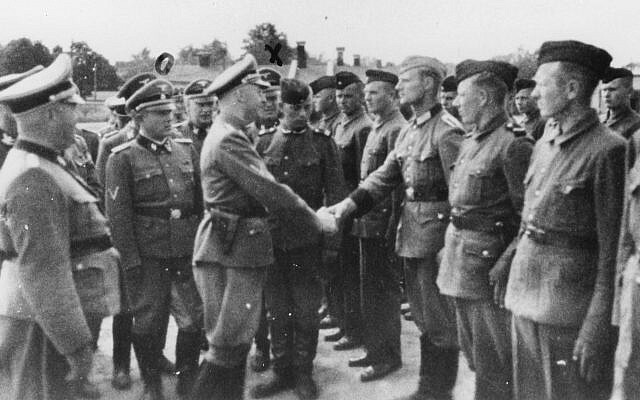 It allowed a relative of Sztykgold to get the first definitive list of the assets the family had in Warsaw before the war, when they headed a real-estate empire. “Bits and pieces, really,” Sztykgold told JTA on Monday during a restitution-related visit to his place of birth. 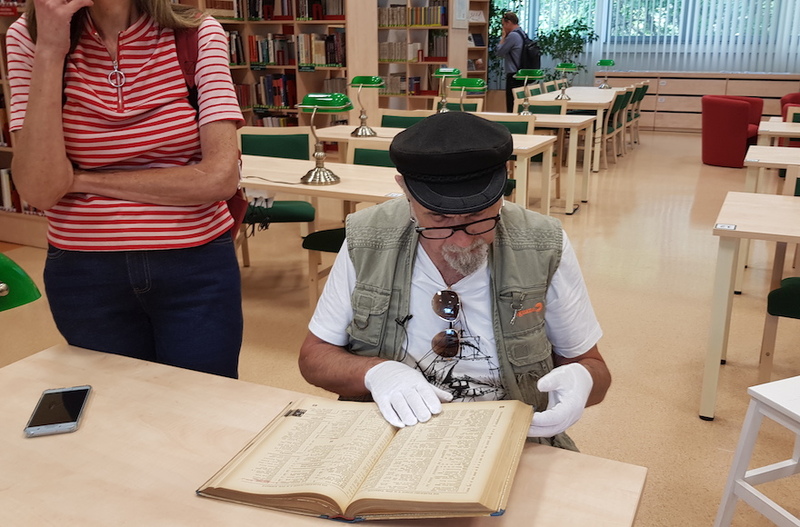 During the visit, Sztykgold also got a rare chance to examine the key that led to the groundbreaking database: a yellowing proofing copy of a phone book of sorts from 1939. It was never published because the directory was being prepared when the Germans invaded Poland. 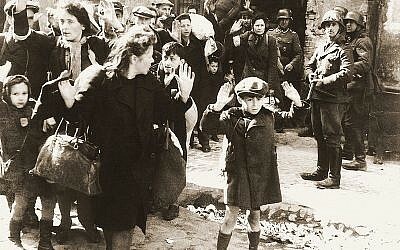 Poland, where 3.3 million Jews lived before the Holocaust, is the only major country in Europe that has not passed national legislation for the restitution of property unjustly seized from private owners by the Nazis or nationalized by the communist regime, according to the WJRO. Instead of passing legislation, Polish authorities and courts handle restitution claims on a per-case basis. 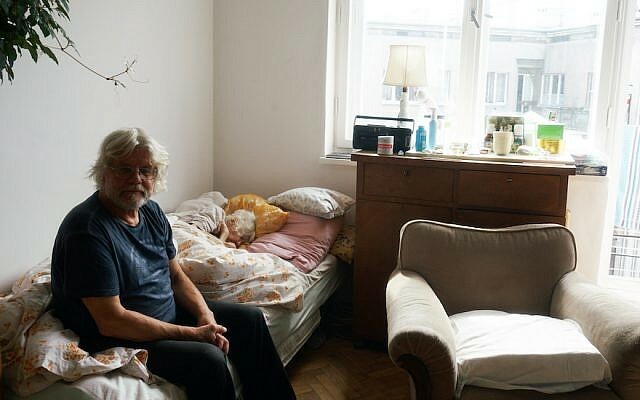 As it carries out its controversial new restitution drive announced in 2016, Warsaw periodically releases a few dozen addresses of properties from its list that had been claimed during communism but whose status has never been resolved. The city does not release owners’ names, although it presumably has at least some of them from stalled restitution claims filed for each of the 2,613 assets. Critics of this practice say it deprives claimants of crucial information necessary to gain compensation. Advocates say it is designed to minimize fraud. 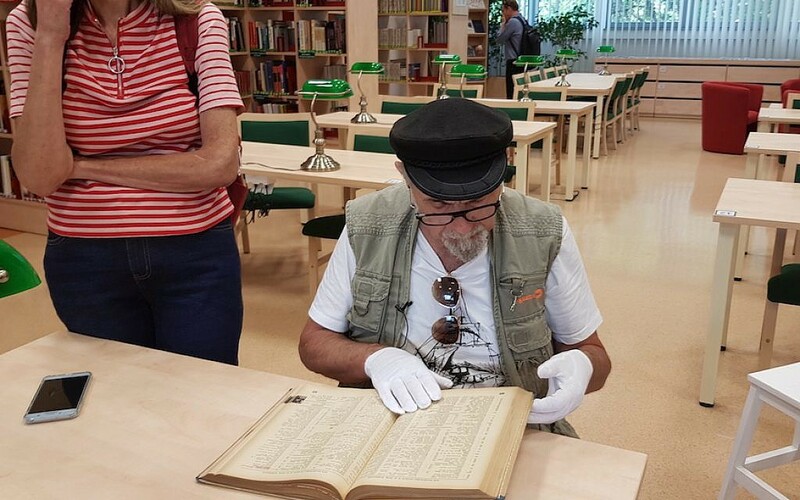 Today, the copy is kept in the vaults of the Central Military Library, which in 2014 bought it for about $3,000 from a book collector at an auction. The library then scanned the book and published the scans online. Kleinwaks, who had heard about the auction and was eagerly awaiting access to the book’s content, then used software he developed to build an owners’ database from the phone book, matching it with the 2,613 addresses. So far, the City of Warsaw has reopened only about 300 of the restitution claims from the list of 2,613, and not one of the claimants has received compensation. Kleinwaks said he does not know how many people are using his database to mount claims. He has reached out personally to more than a dozen families whose names he found, he said, and some of them have subsequently initiated restitution work. None of the Sztykgold family’s assets — there are over a dozen of them – have been reopened for restitution. But the Sztykgold family is already doing the footwork — locating birth certificates, building a family tree, proving they are the only heirs and many other bureaucratic chores — so that when their assets are reopened, they would have a hope of making the six-month deadline. “But Poland has to now follow through and make that information actionable for heirs, instead of introducing procedure that make it more difficult to reclaim properties,” he said.